Can I tell you a secret? I don't actually like sweet things all that much. Shhhhhhh. A few times a month I do bake cookies, cakes, muffins, crumbles, bars, shortbreads, and...you get the point. Each time around, I only consume one or two servings myself. The one exception being any type of bread, i.e. banana bread, pumpkin bread, zucchini bread. The rest goes to either the boy, the roommate, co-workers, or other friends. I mean, I do thoroughly enjoy the one or two servings I eat, but I never have the desire to devour the rest of the batch, as delicious as it may be. Okay, now that we've gotten confession time over with (and you've taken a moment to silently judge me), let's continue! I would say more than half of the time I make baked goods, it's for other people. Either because they requested it, or I want to surprise someone with something sweet. I first came up with the idea of this cake because I wanted to bake my lovely friend and former co-worker, Jenny, something to celebrate her upcoming wedding. I obviously wanted to do a light colored frosting, but the cake had to be chocolate because chocolate > vanilla, at least in cake form. And finally, since it was in celebration of a wedding, I felt the need to come up with something more memorable than chocolate cake + vanilla frosting. The thought occurred to put slices of banana in between the layers of cake, and thus this chocolate, banana, vanilla buttercream cake was formed. Usually, when cooking, I'm pretty loose about ingredient measurements. For baking, I like to use weight over volume measurements for dry ingredients because they need to be more exact, I recommend you do the same. 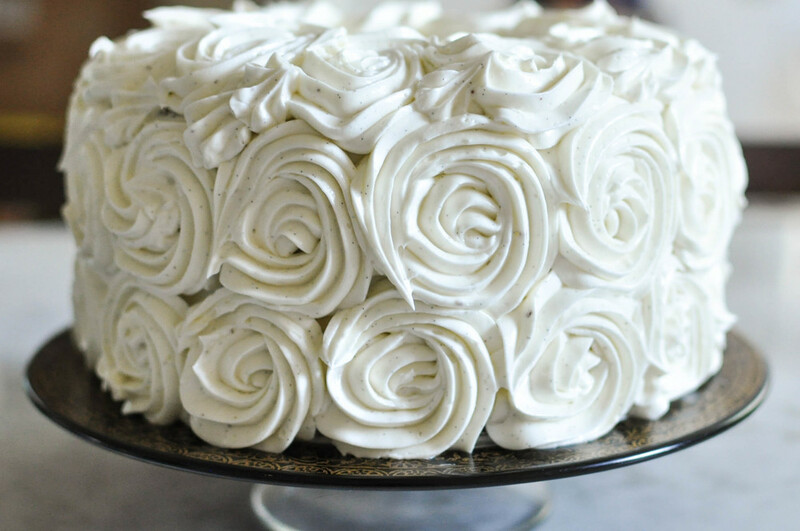 This recipe makes a double batch of buttercream because piping flowers requires double the quantity than just frosting it with a cake spatula. You can halve the recipe if you'd like. Place flour, sugar, cocoa powder, baking soda, and salt in a bowl, whisk to combine. Add oil and sour cream, blend well. Slowly add water while whisking. Mix in vanilla and vinegar. Add eggs one at a time until combined. Split batter between three 8 inch cake pans and bake in oven for 30 minutes, until a toothpick inserted in the center comes out clean. Cool cakes to room temperature (if not frosting the same day, wrap each cake tightly in plastic wrap and place in freezer until ready to frost). Meanwhile, make the buttercream by combining egg whites, sugar, and salt in a bowl. Set it over a small saucepan with an inch of simmering water. 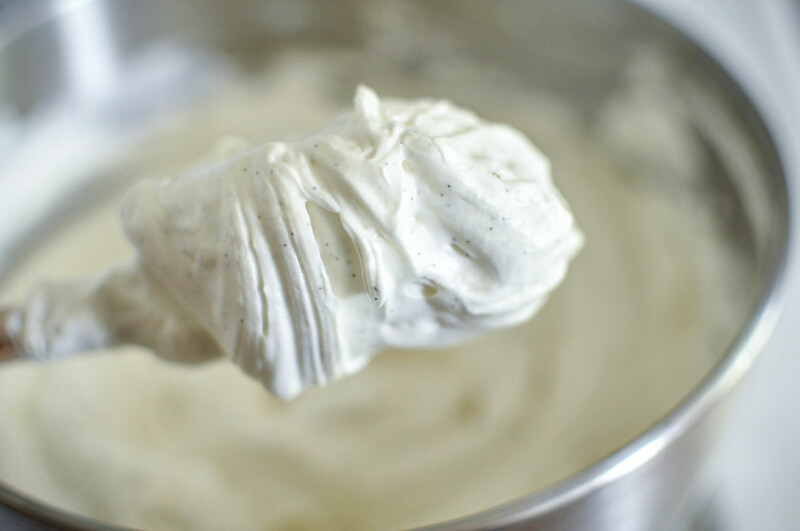 Heat, whisking frequently until the mixture reaches 160 degrees F. Transfer to the bowl of a stand mixer. 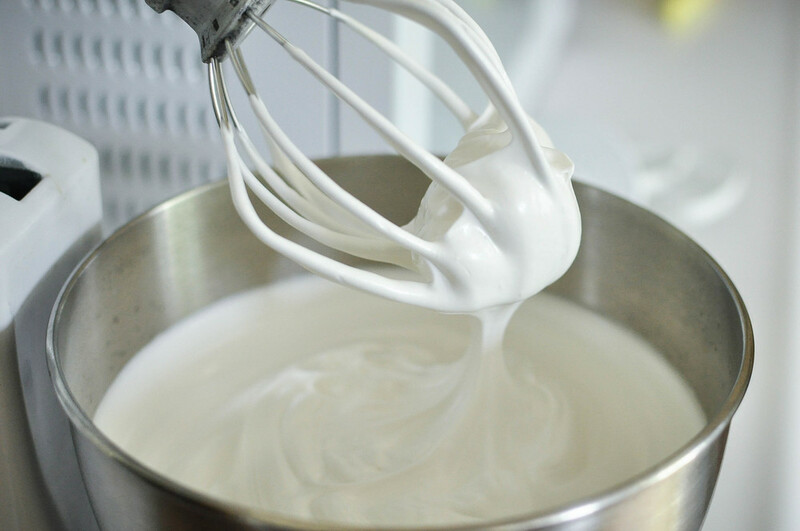 Beat on medium high with the whisk attachment until meringue achieves stiff peaks and has cooled to room temperature. Slowly add butter a tablespoon or two at a time. The meringue will deflate a little and your frosting will look goopy, but keep persisting and add the rest of the butter, it will come together. 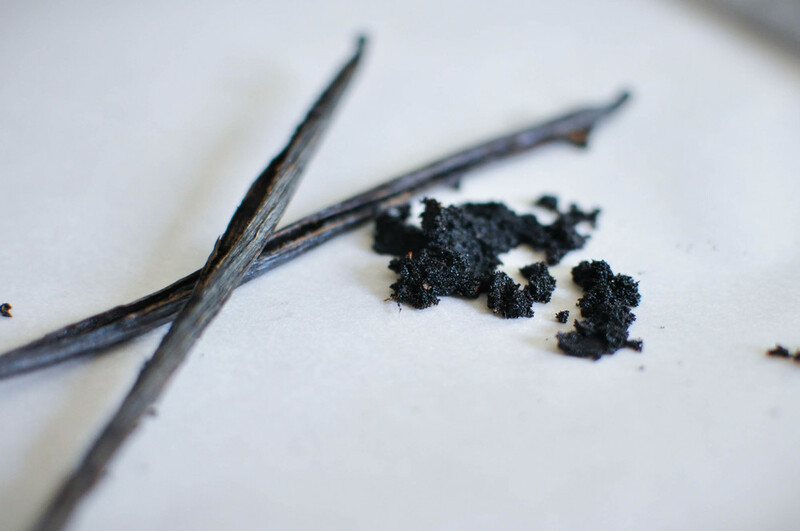 Once frosting is smooth, add in vanilla bean seeds and mix for one more minute. To assemble: combine sliced banana with lemon juice, this will slow down the browning process. 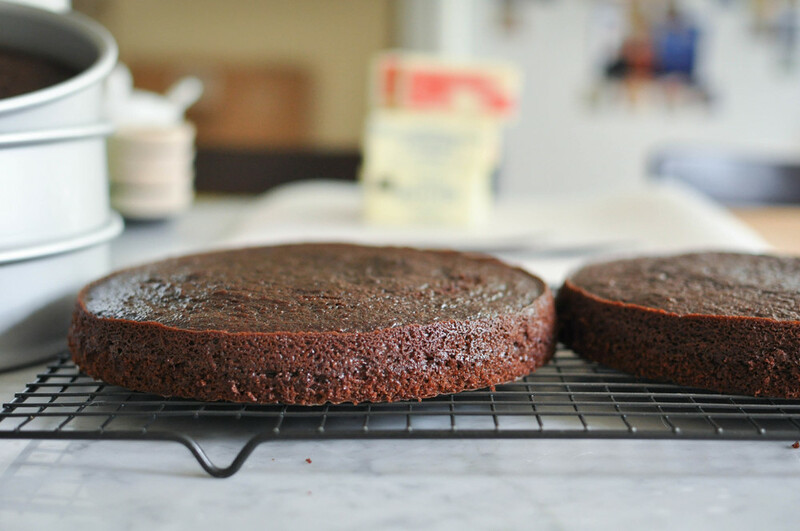 Place the first cake layer on a cake stand or plate. Place a thin layer of frosting on top and then a layer of banana. Frost the bottom of the second cake layer and gently stack on top of the bananas. Repeat with the frosting, bananas, and third cake layer. Once you have all the layers assembled, crumb coat the entirety of the cake. Frost and decorate as you please, then slice and serve. I used an Ateco 824 tip to pipe the flowers. It's an open star tip, but I imagine a closed star tip would look even better. I can't quite describe in words how I did it so I'll just point you in the right direction. This is one of the best YouTube videos out there if you want to learn. All I did was watch the video a few times, practice a few times, and then 3-2-1 go.